I thought it might be fun to highlight a few vintage cookbooks in the coming months. I pick them up here and there, without much rhyme or reason. There might be a design element I like, it might be the voice of the author, or sometimes a single recipe pops out at me. 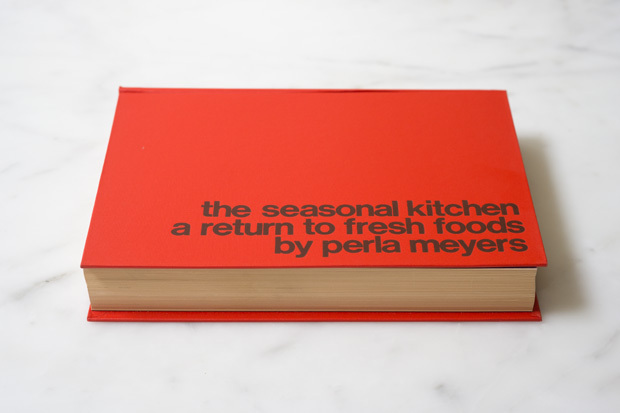 I typically flip through them in antique shops on road trips, at yard sales and flea markets, but I found this gem at Omnivore Books here in San Francisco - The Seasonal Kitchen: A Return to Fresh Foods. Published in 1973, it is by Perla Meyers, was published by Holt, Rinehart, & Winston, and designed by Al Corchia. I did an updated take on Perla's Fennel Mushroom recipe for today's post, it's a simple, brilliant twist on everyday sauteed mushrooms with dill, chives, fresh fennel, and a kiss of creme fraiche. 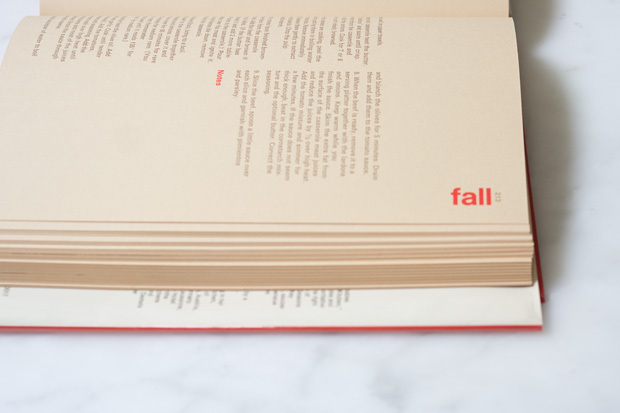 There are so many things that resonate with me in this book - subject matter, design, the emphasis on fresh, seasonal ingredients. More than anything, I love the approachability of Perla's voice. 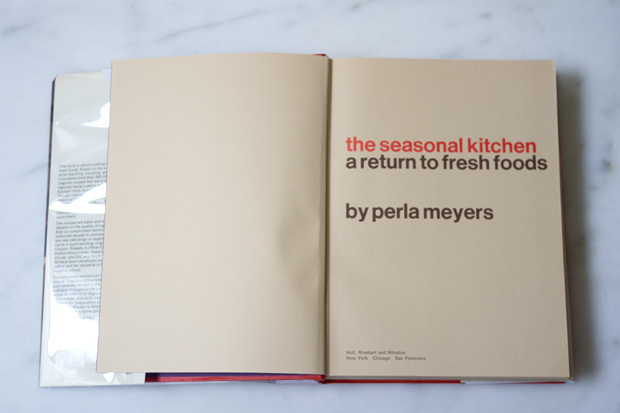 She opens the book by saying, "Of all the reasons I have for writing The Seasonal Kitchen, the most important is to communicate and understanding of freshness and encourage a return to seasonal cooking. This is not a book for organic-food buffs, however, but for anyone willing to explore and rediscover the marvelous potential of fresh food." Remember, this book was published nearly forty years ago. In many ways it reads like it was written yesterday. You just don't see cookbooks that look like this today. 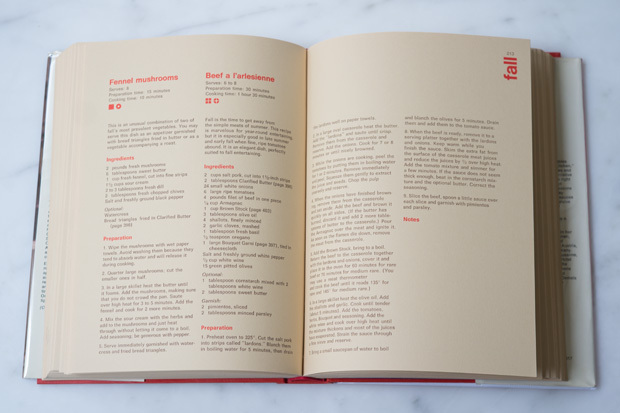 Even better, the ideas behind the recipes are straight-forward, produce-centric, and easy to update. To make these mushrooms, I replaced a substantial amount of sour cream with a dollop of creme fraiche, and never missed the former. And I give a few suggestions related to serving them in the head notes below. The mushrooms are great on their own (as pictured), spooned over a thick slab of grilled, garlic-rubbed bread, or over a simple baked potato. They make a fantastic tart or sandwich filling, and would be great as a component in a simple fall panzanella. I used nameko mushrooms here, a favorite from my farmers market, but brown mushrooms will work brilliantly as well. To clean mushrooms use a damp paper towel to remove dirt. Cut mushrooms, if needed, into 1/3-inch thick slices. The mushrooms I used, up above, we're mostly left whole. In your largest skillet, over high heat, melt the butter. Add the mushrooms and a few pinches of salt, and use a spatula to stir until coated. Saute, stirring every minute or so, until the mushrooms release their water and brown a bit - 4-5 minutes. Two minutes before the mushrooms are done cooking, stir in the fennel. When finished, removed from heat, wait ten seconds, and stir in the creme fraiche. Add most of the dill and chives, pepper and more salt if needed. Quickly toss the watercress with the olive oil and a pinch of salt. Serve the mushrooms immediately alongside the watercress. 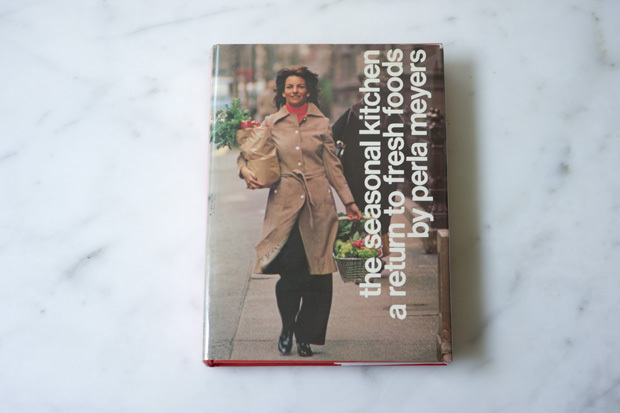 Inspired by the Fennel Mushroom recipe in The Season Kitchen, by Perla Meyers, published by Holt, Rinehart, & Winston in 1973. Big bowl of green - broccolini tossed with big croutons, tons of scallion slices, mozzarella, toasted almonds, and a hit of serrano pepper. In a Indian spiced departure from a favorite Suzanne Goin recipe - this is a rustic, deeply flavorful summer gratin made with sliced tomatoes, potatoes, caramelized onions, curry powder, and a kick of red chile flakes.